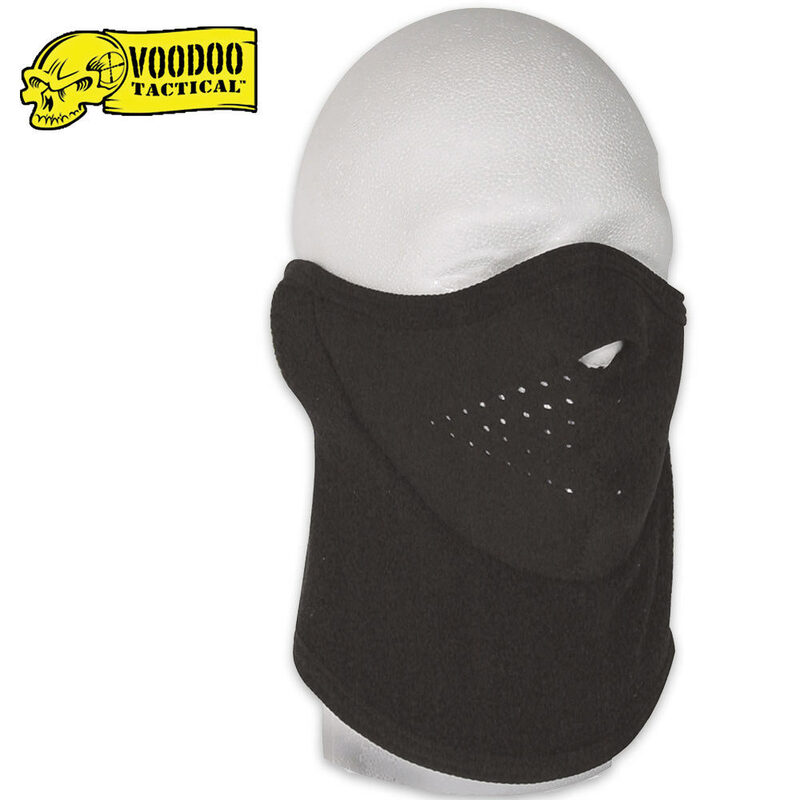 Voodoo Tactical Fleece Face Mask | BUDK.com - Knives & Swords At The Lowest Prices! This Voodoo Fleece Face Mask is a “must have" for cold weather ops! I really like this mask. It fits snugly, and the material stretches a bit in the event you have a big face. Its also feels comfortable, and the nose hole and mouth vent make it so the mask doesn't hinder breathing or speech. I haven't had the opportunity to test how well it defends against cold weather but I'm sure it will do fine. Overall it a great mask, definitely worth the money. Its warm,fits alright kind of snug and the hook and loop closure (Velcro) came un-sewn after a couple of uses so it had to be redone.